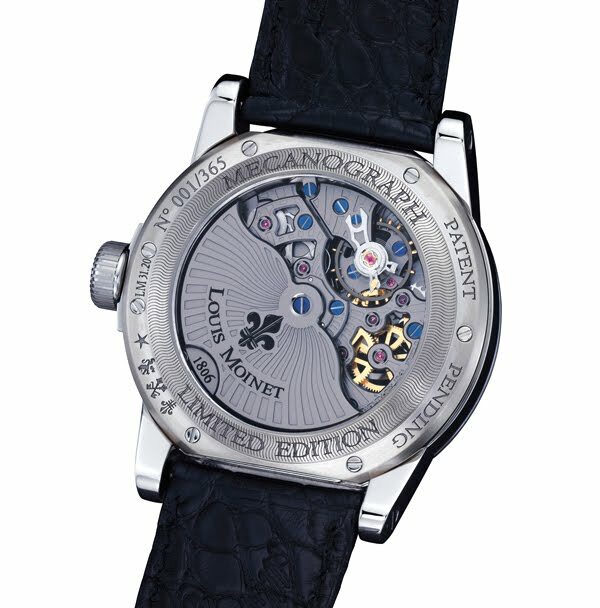 “MECANOGRAPH” reflects the synergy between a manufacture-made chronometer-certified movement and the incomparable design qualities of Louis Moinet. 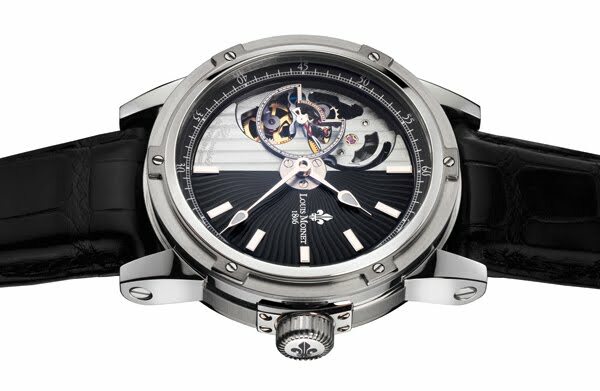 The balance with screws, the lever and the gear trains are highlighted in an original way that is different on each side of the watch. “MECANOGRAPH” innovates in terms of the technology of self-winding watches, by updating an historical operating system. Within this distinctive and rare mechanism, small and large pawls work together with the automatic winding gear train. In addition to its spectacularly attractive appearance, it offers the advantages of a bidirectional winding system. “MECANOGRAPH” is a unique creation issued in various 365-piece limited editions destined to be worn by devotees of creative horology.